Author: Block, Lawrence Set In . . .
…and years later they tell us what Greenwich Village was like in the 1950s. Lawrence Block was on the scene, just starting to find himself as a writer, and A Diet of Treacle was his attempt to get it all down on paper. It was published by a low-rent paperback house, with a tacky title and a pen name, and disappeared from view until Hard Case Crime found it and published it a few years ago. The Beat Generation has been mythologized extensively since the heyday of Ginsberg and Kerouac, as it’s hard to see it in perspective. A Diet of Treacle—the title’s from Alice in Wonderland—provides a glimpse you won’t forget. 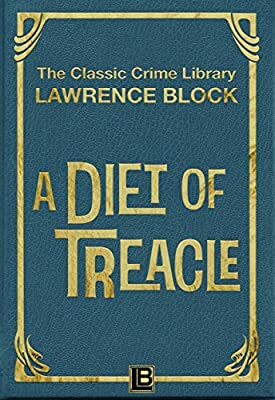 This Classic Crime Library ebook edition of A Diet of Treacle includes as a bonus the opening chapter from the next book in the series, You Could Call It Murder.